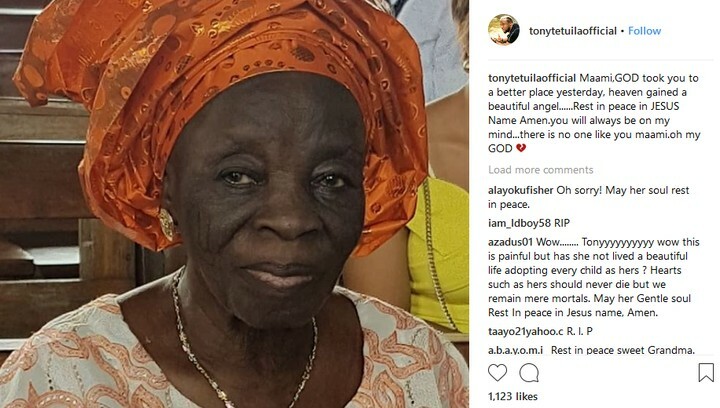 Veteran Nigerian artiste Tony Tetuila's mom is dead. Wow........ Tonyyyyyyyyyy wow this is painful but has she not lived a beautiful life adopting every child as hers ? Hearts such as hers should never die but we remain mere mortals. May her Gentle soul Rest In peace in Jesus name, Amen. So sorry to hear this . God will be with you my brother. Regards to everyone my brother. God will give you the strength to bear this .